- Dr Richard Lewandowski, Operation Smile Australia Co-Founder. Operation Smile Australia is a children’s medical charity that is dedicated to helping improve the lives of children born with cleft lips, cleft palates and other facial deformities in developing countries. 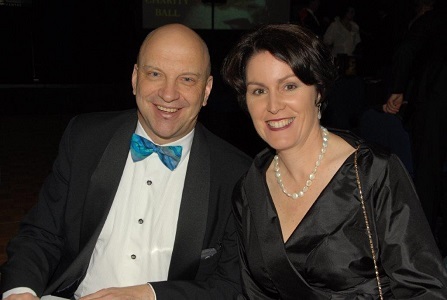 Operation Smile Australia Limited was founded in 1999 by Dr Richard Lewandowski, a Brisbane plastic, craniofacial and reconstructive surgeon, and his wife Sue, a physiotherapist. Dr Lewandowski, one of Australia’s most respected surgeons, became involved with Operation Smile while studying at Eastern Virginian Medical School, in Norfolk, Virginia, USA. Dr Lewandowski volunteered on medical missions to China, Colombia, Gaza, Kenya, Philippines and Russia. He was also involved in the medical educational training sessions, and in the training of Operation Smile International Fellows. Upon his return to Australia, he and his wife Sue established Operation Smile Australian Limited dedicated to helping children from countries in neighbouring South-East Asia.They saw the need and Operation Smile Australia was born. 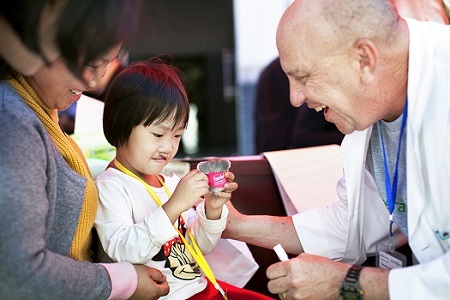 As well as cleft missions, Operation Smile Australia facilitates craniofacial missions. These craniofacial missions treat more severe deformities and are completely coordinated out of our Australian office with only Australian and New Zealand volunteers. Operation Smile Australia is also proud to run the World Care Program. World Care patients are identified at screenings on our cleft and/or craniofacial missions. These patients are referred onto our World Care Program as their conditions are very complicated and the treatment required generally cannot be undertaken in their home country. Due to the complexity of the treatments required, patients are brought to the Mater Hospital in Brisbane, to receive the best surgical treatment possible. Operation Smile Australia has successfully treated over 36 World Care Patients. Operation Smile has developed expertise in mobilising volunteer medical teams to conduct surgical missions in resource-poor environments wile adhering to the highest standards of safety and care. Operation Smile helps to fill the gap in providing access to safe, well-timed surgeries by partnering with hospitals, governments and ministries of health, training local medical personnel, and donating much-needed supplies and equipment to surgical sites around the world.